Millions of traffic tickets are issued each year in the United States. The average fine costs around $150, but in some states, a driver can be fined up to $2000 or more. The states of Michigan, New Jersey, New York and Texas have enacted a Driver Responsibility Program that establishes a system which assigns points to moving violations and applies surcharges to offenders, based on the type of offense. Under some of these laws, drivers may face a separate fee after they are convicted or found responsible for the offense. Due to the exorbitant fees charged by each state, the traffic ticket system is an industry generating billions of dollars each year. Traffic laws are typically broken up into two categories; an infraction and a violation. An infraction is not considered a crime and the penalty is usually a fine. Most traffic tickets, such as non-moving violations and non-dangerous moving violations are considered infractions. A violation is more severe although the definition varies in each state. More serious violations may be classified as misdemeanor or felony traffic violations. These may include Driving Under the Influence (DUI), reckless or aggressive driving, driving without auto insurance, and failure to stop at the scene of an accident. Individuals who are charged with a misdemeanor or a felony violation are afforded the same rights as any criminal defendant. They will be subject to the booking and bail process and have the right to a trial by a judge or jury. The offender may be charged with a serious violation if it caused or threatened to cause injury to a person or property. Running a stop sign may only be an infraction of the law. However, if a pedestrian gets hit, the infraction may be categorized as a misdemeanor or even a felony. Individuals who have repeat DUI offenses, or a hit and run accident or are involved in an accident resulting in vehicular homicide will be charged with a felony. If you have been charged with a traffic violation, you should consult with an experienced traffic attorney as soon as possible. Traffic laws vary in each state, so it’s important to speak with a lawyer in the state where you reside or where you were cited for the offense. A moving violation ccurs whenever a traffic law is violated by a vehicle in motion. Some examples of moving violations are speeding, running a stop sign or red light, and drunk driving. A non-moving violation, by contrast, is usually related to parking or faulty equipment. Examples include parking in front of a fire hydrant, parking in a no-parking zone, parking in front of an expired meter, and excessive muffler noise. See our page on moving violations for more detailed information on how an attorney can assist you. Many jurisdictions provide for administrative processing of most traffic tickets as minor offenses or “infractions”, thereby removing them from criminal court altogether. In those cases, an offender is not subject to incarceration or large fines and is not entitled to a lawyer or a jury trial. The fine for speeding tickets can be quite large, as some states impose a fine based on the rate at which the offender was exceeding the speed limit. Even though most traffic tickets are handled in an expeditious manner in the court system, a “conviction” for a traffic infraction can have a negative effect on a person’s driving privileges and insurance rates. If you have an attorney accompany you to traffic court, you may often be able to get your charge, and the resulting fine and consequences, reduced. Certain traffic violations are considered more serious than infractions, and can rise to the level of a misdemeanor crime (or felony), especially if the offense involves injury to a person or destruction of property (such as leaving the scene of an accident). If you have been accused of a misdemeanor crime or felony, you need an attorney to represent you in court. Even good, safety-focused drivers can be charged with a traffic violation. If you have been charged with breaking a traffic law and would like to learn more about your rights to “fight” the ticket, the best place to start is to speak with an experienced Traffic Ticket Attorney in your area. A Traffic Ticket Attorney will evaluate all aspects of your case and explain all options available to you, including the administrative procedure and driving record penalties you can expect — and will work with you to ensure the best possible outcome for your case. 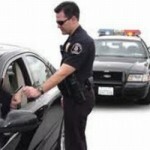 Contact LegalHelpLawyers.com today to get in touch with an experienced traffic law attorney!